Marcus Jones is the Past National President of Round Table Great Britain and Ireland, a proud member of 41 Club, a motivational speaker and mentor to start up projects, new business, third sector charities & trustee to local and national groups. He works in partnership with all supporting organisations of "The Round Table Family of Clubs" and related organisation such as Anthony Nolan, CALM, PTSD and the NCVO, Princess Trust. Marcus very recently announced the launch of The Links Foundation for Mental Health Issues , he is delighted in encouraging and inspiring future generations of young people to use their personal qualities and skills to Adopt, Adapt and Improve their local communities. 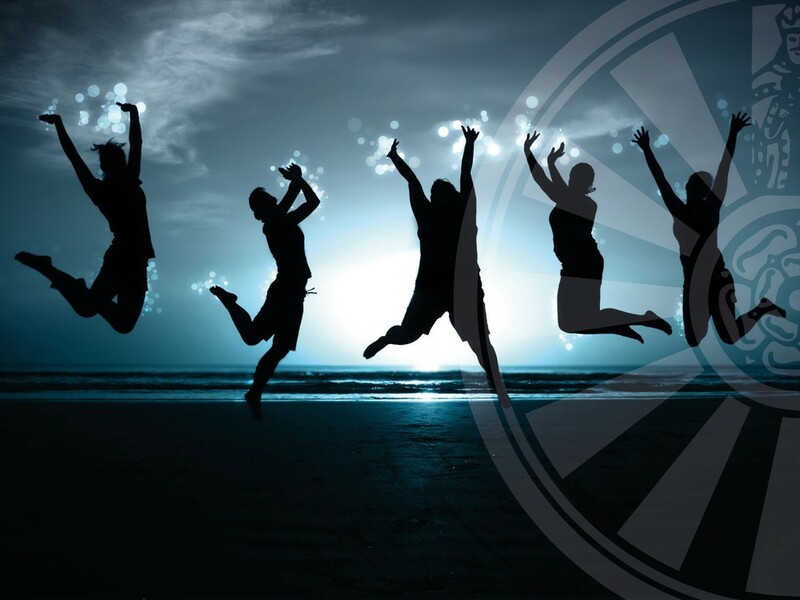 Whilst at the same time developing a world leading social club for men aged 18 to 45, putting community at the heart of the matter for local businesses and continuing the journey of New Horizons through membership of 41Club Nationally & Internationally. Born in West Wales and now living in Nottingham, Marcus is supported in his duties by his partner Jane. Being very passionate about Mentoring, Rugby and Round Table, he loves a challenge and is on a mission to harness the skills of the youth for the good of their local communities and to promote friendship across frontiers. The day job finds Marcus as the highly successful Head of Business of Land Rover Nottingham, with over 19 years working with JLR in this sector and over 30 years in the retail & people Industry. He is described by many as a "transformational strategic leader", both of business and within investment of people. His passion for the development of community organisations such as Round Table, Nottingham Rugby Academy, Fairnborough Nottingham Academy and "The Links Foundation for Mental Health" is clear for all to see, when you ask him to describe the work he has carried out in Round Table he will always declare enthusiastically, members of 41 Club & Round Table are “Ordinary Guys Doing Extraordinary Things” working hard to improve our local communities, sharing fun and fellowship whilst at the same time seizing thousands of unique opportunities to experience exciting new activities, new situations and new people. The Round Table Family is life changing! This website is dedicated to the projects that Marcus has engaged in and his current new projects that get to the heart of the matter in today’s society. "Engage, Educate & Encourage" a new generation through his work. Using his 27 years of business knowledge, determination and understanding of the how to create great teams. Marcus has a very clear and direct approach to building an organisation for the future with growth & stability in mind. “Bringing People Together” is a very simple framework of the plan for the future through his work with 41 Club, Round Table & The Round Table Family Internationally, The Links Foundation, Nottingham Academy, Fairnborough Academy and many local, National & International projects. A positive approach & attitude towards the future with a “can do” application through clear processes. Known for being a “Man with a Plan” or those famous words of his “I have an idea”, Marcus is very clear that achieving the great things in life can only be done as a collective group of people. He can demonstrate groups of ordinary teams that have achieved the extraordinary. There are great projects planned this coming year to support the members and “Bringing People Together” will be at the heart of everything. •Introduction of new communications channels and marketing approaches through new branding documents. •Launch of increased sources of introduction, with the creation of feeder clubs or sources for employment or membership groups. •Demographic map of potential growth of The Round Table Family of Clubs and Local Businesses. •Review and delivery of new style sales approach techniques that form a new consultative approach to a new generation of customer. •Review and delivery of updated technology. •Membership/Charity/Fundraising/ Talent spotting support events. •Review business ethos and DNA to understand personality traits for recruitment for future successes and retention. •Ongoing feedback loops for organisation to form business data. Outside of Round Table Marcus has worked with new groups to support their development plans and create opportunities for success, those project listed but non exhaustive are; Nottingham Rugby Academy, The Links Foundation, NCVO, Anthony Nolan-Marrow Groups, Round Table Business Club Ltd and a new project that will be launched in 2018 that surrounds the growing concern of mental health in young people with the creation of a new foundation "The Links Foundation" in partnership with Switch Up. Engagement – a comprehensive plan to communicate with the members at all levels,through regional forums supporting members and areas. Allowing for success and real supportive measures that are there for the existing and future members. Structure and communication is at the heart of the plan. Partnerships – Bringing businesses closer to Round Table, partnerships that will give the members real benefits for all the members of “The Round Table Family of Clubs” and opening doors for opportunities. Our very own business club for the community, including opportunities to help members in their every day lives. Feeder Clubs – A clear strategy to take control by shaping the future with feeder clubs linked to business, colleges & universities and a very first “online training academy” for the members. A clear and direct approach to planning future successes of the members. The vision is to ensure that Round Table thrives and becomes a generational club for the young men of Great Britain & Ireland. Marcus discusses subjects that go at the heart of our communities. The NHS - Why We Need To Protect It! Changing the face of our communities in difficult times. Izabella Landberg M.S. of the USA recently wrote a great article over social responsibilty and leadership, this work summerises the study recently published. A very special lady once said "Its time to put the Great back into Great Britain & Ireland", I believe that time is here again! View all Marcus' videos at his channel on YouTube OR follow on @PPresidentRTBI or The Links Foundation channel that targets mental health. The Biggest Wish was a celebration of 30 years with the the members of Round Table, the brainchild of Marcus, it was the most audacious plan in recent years attracting over 2000 attendees, watch the video and be inspired. A celebration of the work that took place during 2015/2016 when Marcus had the honour of representing the members of Round Table Great Britain & Ireland as National President. 41 Club members are Ex Tablers, part of world wide movement of like minded men. Up and down the country we have thousands of members who are enjoying the social benefits of continued friendships and seek new horizons along the journey of life, we engage with our communities. we encourage and engage with members of "The Round Table Family of Clubs" world wide, building new friendships through international travel. "Most of all we continue our journey through new experiences. We Engage,Encourage & Educate- its in our DNA." Whether you're into community volunteering, off roading adventures, a simple game of golf or just a few beers down the local with guys. Each local 41 Club organises its own events. These vary from club to club, ranging from activities locally, regionally and nationally, like car rallies, beer festivals, National Sporting weekend and International trips that simply show you places through the power of our world wide organisation. We understand our communities and what it takes to make things happen, we put something back and make a real difference. Sound good? Click Here for your nearest 41 Club and come and see for yourself. 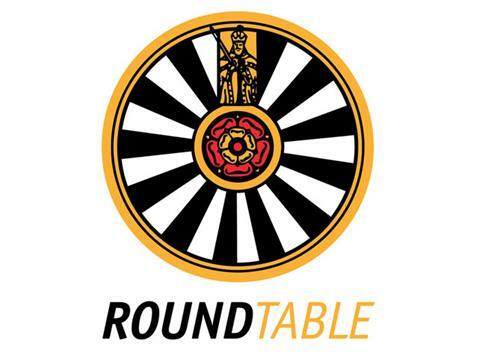 Up and down the country we have thousands of members who are enjoying the social benefits of Round Table, building new friendship groups, building new contacts, having fun and working together to support local communities. Whether you're into paintballing, offroading, a simple game of football or just a few beers down the local. Each local Round Table organises its own community events. These vary from club to club, ranging from carnivals and bonfires for tens of thousands of people, to fun runs, beer festivals and barbeques. We get involved in our local communities, we put something back and make a real difference. Sound good? Click Here for your nearest Round Table and come and see for yourself.